With sales of their debut album now in excess of 350,000, Kodaline could scarcely have gotten their musical career off to a better start. Here, singer Steve Garrigan reflects on their crazy journey so far, discusses his experiences co-writing with One Direction’s Harry Styles, and shares the story behind the synth-infused follow-up, Coming Up For Air. Yeah! I got burnt to a f*cking crisp that day but I f*cking loved it. I was really in need of a haircut as well; nothing new there! I’d love to go back there, just to watch bands; the atmosphere is incredible. 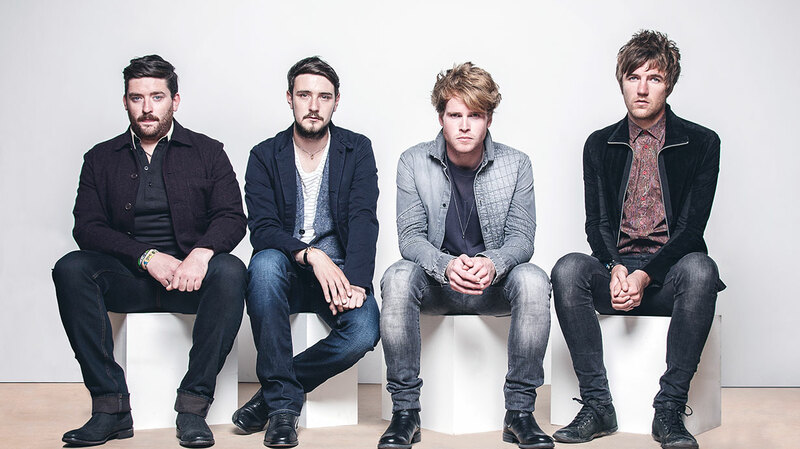 You’ve had a crazy couple of years with Kodaline since. Were you expecting such a huge reaction to your debut? No, not at all. We’ve known each other since we were kids and we always dreamed of playing gigs together in Ireland – let alone gigs outside of Ireland – so when we were offered the chance to make an album, we jumped at it. It’s been a crazy few years of travelling all over the world. Honestly, it’s been so amazing that sometimes we have to pinch ourselves. But I think what keeps us grounded is that we’ve literally grown up together. And I remember that, even when we were playing to a hundred people a night, we were taken aback by anyone coming to watch us, because there have been times over the years where we’ve played gigs to nobody. Now we’re lucky enough to play before a lot more people. So does the title of the new album reference stepping back from the madness? Funnily enough, because we recorded the new album very quickly – in about three months or so – the only time we took a break was to come up with an album title. And that was about a five minute break, just to come up for air. So we figured we’d call it Coming Up For Air. You worked with producer Jacknife Lee on this album. How did that come about? I think we were just asked if we wanted to work with Jacknife Lee. We had actually never worked with [a producer] who hasn’t been a friend beforehand. The producer on our first album – Stephen Harris – we had known for about six years and we are all very close. [Working with Jacknife] was an opportunity that came up when we were in LA, and we were like, “Well, why not? We’ll record some songs and see what happens.” That was back in June and we recorded two songs. I remember we came back from that session, not even thinking they would be on an album. But that session opened our eyes to a different way of recording; we learned a lot from him. So when we went back and recorded again with Stephen Harris, and engineer/producer Phil McGee, we just took on board lots of things that Jacknife had said, and challenged ourselves. Within the space of one week we did eight songs. It was pretty mad; we didn’t expect it. But we are very proud of this album, and if other people like it a quarter as much as we like it then we will be really happy. How did Jacknife’s approach differ to the other producers you’ve worked with? His outlook is that, in terms of sound, there is no wrong answer. I always write songs on the piano, and then usually we build on that with guitar, drums and bass, and then sometimes we will add an organ or something. But we had never used electronic sounds before. Jacknife just introduced us to new sounds – to synthesisers and electronics and electronic drums and to doing strange things with my voice. But you guys have always been into electronic acts like LCD Soundsystem, right? Mark, our guitar player, has; he’s a big fan of LCD Soundsystem. I’m a lot more into Bruce Springsteen, Jackson Brown, Billy Joel, Elton John and stuff like that, but we all do like that kind of music. We’ve never gotten into exploring it ourselves though. Even with this album, we haven’t gone mad into it; we’ve just looked at it and experimented a bit. Were you all totally open to that kind of experimentation, or was there any resistance? Well, the one thing we didn’t want to do was make the same album again, and we were all agreed on that. So any time we’d have a song, we’d be thinking, “OK, right, what are we going to do musically with this song?” And if it was starting to sound too like the last album, we just stopped it and looked at what we could do differently. At times it felt uncomfortable to keep pushing ourselves, but it’s good to be out of your comfort zone. We hear there’s some unusual instrumentation on the album, including the sound of Sharpie pens? (Laughs) There’s a lot of random stuff, yeah, including us banging on pots and little glasses and coke cans with Sharpie pens. You can create a sound from anything, be that by banging on a wall or breaking glass or whatever. I think that’s the main thing that Jacknife taught us; everything is a sound, and there’s no wrong answer. When I write lyrics, I’ll usually look at something that’s happening to me at the time or has happened to me; often something very simple and trivial. A lot of songs that did end up on the album are just written about different people that crossed paths with the band, and different situations we’ve been in or places we’ve been to, so they’re all stories from our points of view. But then, hopefully somebody else might listen to them and interpret them in a different way. Do you have a favourite track on Coming Up For Air? My favourite song on the album would be the last song, ‘Love Will Set You Free’. For whatever reason, it’s just a really powerful song for me, and I really get lost in it when I sing it. So what are your plans for the rest of 2015? Will you be playing the festival circuit? Yeah, we will be playing a lot more festivals but I don’t think they’ve been announced yet. We have confirmed to play the Isle Of Wight Festival, though, and we’re really looking forward to that, because Fleetwood Mac are playing and the whole line-up is incredible. And what about outside of Kodaline? Will you be doing any writing for anyone else? We heard you’d co-written a track with One Direction. But the Harry Styles thing was another experiment, I suppose. We were playing in LA and Harry came along because, apparently, he’s a fan. He wanted to write songs with us, so we went into his studio the day after our gig and wrote something. That was it though; we’ve never spoken to him since. He was a cool guy, though. Is it something you’d like to do more of, though? Yeah. We’d never really gotten into that whole co-writing thing previously, but now we’ve dabbled in it a little bit, it’s actually fun. And I’m sure anybody who loves writes songs would love to write with their favourite artists. I’d give anything to write with Paolo Nutini or Ellie Goulding. 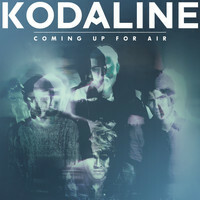 Finally, where would you like to be with Kodaline, this time in 12 months? In 12 months time, I’d like to be playing bigger venues, maybe? That would be awesome. I mean, every band dreams of playing huge venues, right? And I hope this record does even better than the first record, because we as a band think it’s a better album. Who knows, though, I’m no psychic.